We just got back from an incredible mountain bike trip in Nepal. We had a wonderful time in this beautiful country where the unbelievable scenery is only matched by the friendliness of its people. 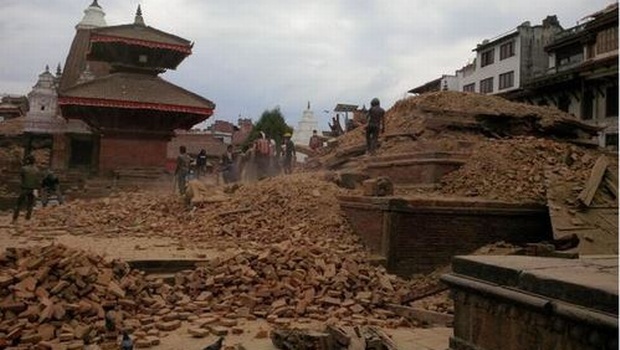 As you are probably aware, Nepal was recently hit by a series of devastating earthquakes. 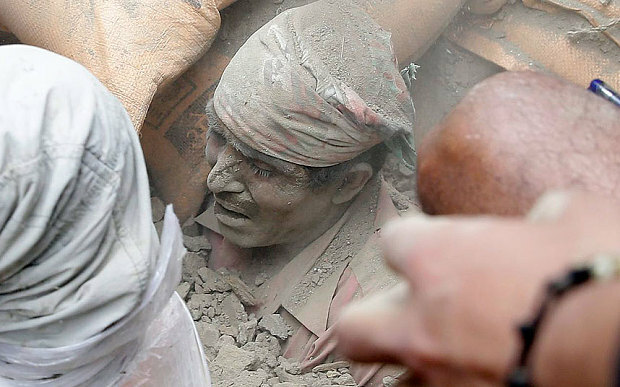 Now, Nepalis are doing their best to get survivors out from the rubble, most of the time with their bare hands. Many historic buildings that we had to chance to visit just a few weeks ago are now destroyed, but more importantly, thousands of Nepalis are now without homes, clean water and electricity. Thankfully, the wonderful friends we made during our trip are all safe and sound and have now focused their efforts towards helping others. 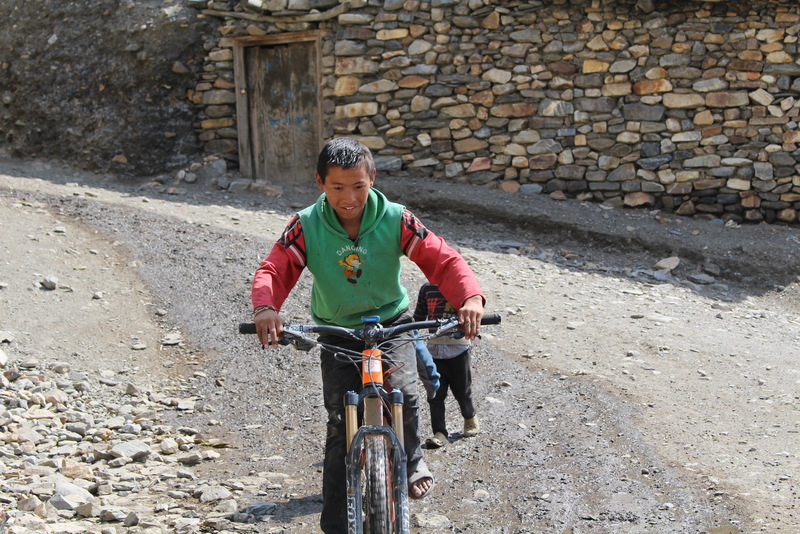 The sister company (Portal Bikes) of our guiding company (Epic Rides Nepal) were already involved in providing humanitarian aid to residents of Nepal– they provided special custom bikes to help villages with daily chores such as husking corn. 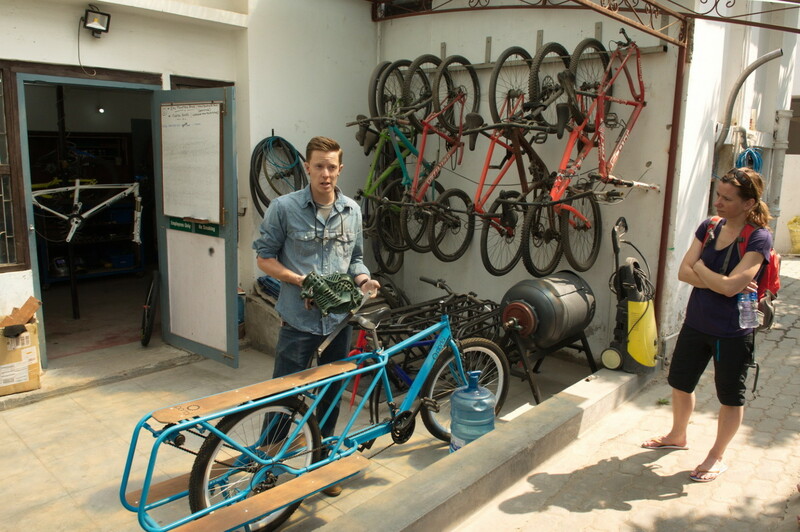 These innovative bikes not allow carry cargo but also serve as a power transfer unit for devices such as washing machines or corn shelling machines. Now, Portal Bikes is raising funds to directly help people in need. 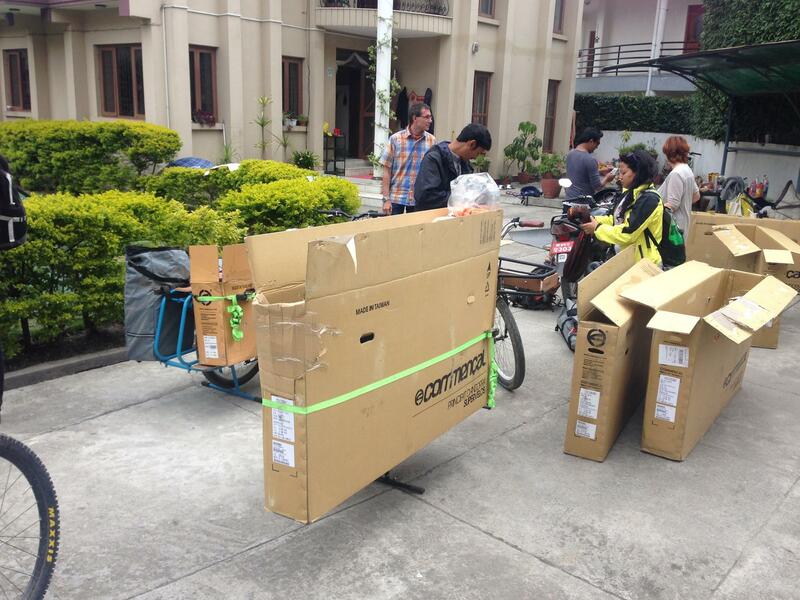 They are buying essential supplies such as tarps and clean water and are using their cargo bikes to deliver them. 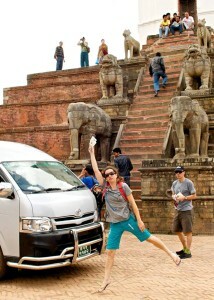 Portal bikes just set up a special earthquake relief fund to help people in need. 1) Through a secure PayPal Donation on the Portal Bike web site. 2) Join us for our special trip slideshow presentation to be held on Monday May 4th at Le Siboire micro brewery in Sherbrooke (Jacques Cartier street). We welcome you at 17:00 and the presentation will start at 17:30. The entry fee is $20 and includes a beer. 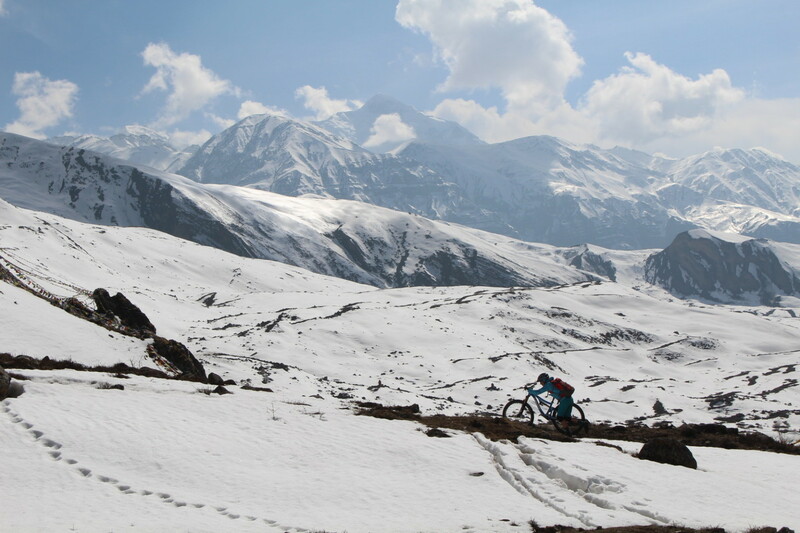 All proceeds raised will be sent directly to Portal Bikes Nepal, to be used in assisting those in immediate need. Однако соцопросы показали, что лишь 5% жителей Санкт-Петербурга знают о такой программе. Информация о ДМО уже вызвала кучу возмущений, сразу после того как информацию об этом распространил один возмущенный врач. Страшно, что информация по ДМО присутствуют в открытом доступе, просто натыкались на эту информацию единицы.